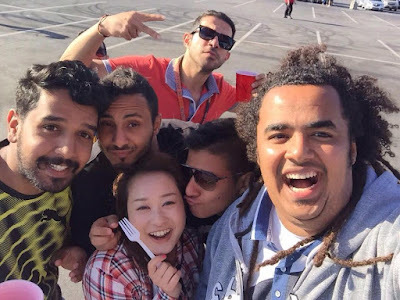 Language Systems Lifestyle! 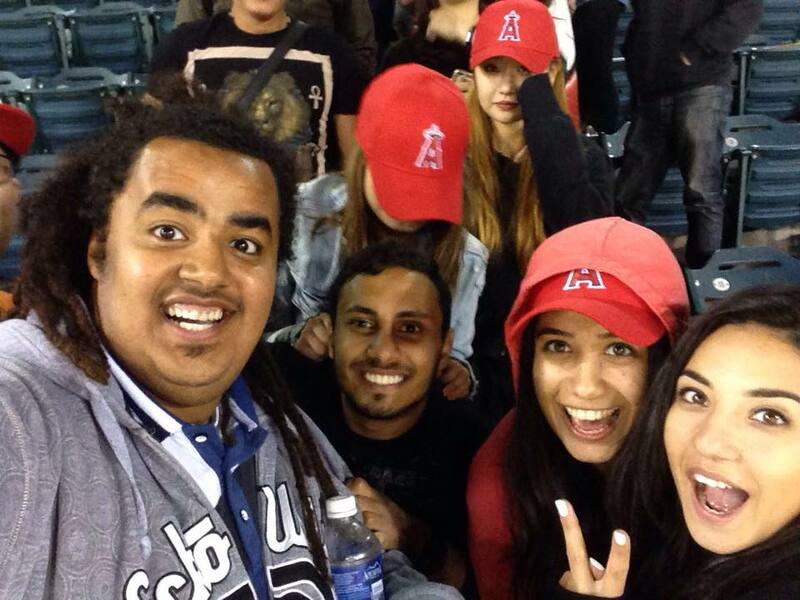 : Angels Game with Ty!! 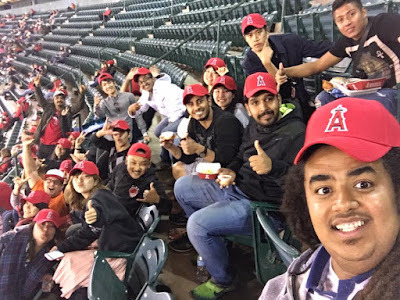 On Wednesday night, April 27, 24 students and 2 teachers from Language Systems - Orange County attended an exciting baseball game at Angels stadium. We all got there a couple of hours before the game started so we could do the whole "tailgating" experience. We barbecued in the parking lot, played games, and listened to some cool music. 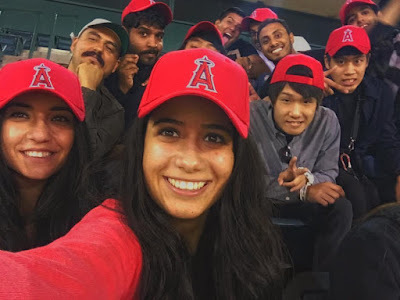 For many students, it was their first American baseball game. 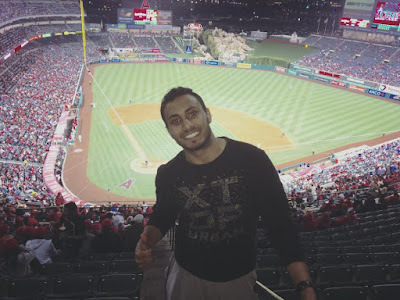 The Angels were playing the Kansas City Royals, last year's World Series Champions. The Angels were losing 2-0 when the Angels star center fielder Mike Trout hit a 2-run home run to tie the game. The Angels went on to win the game 4-2. 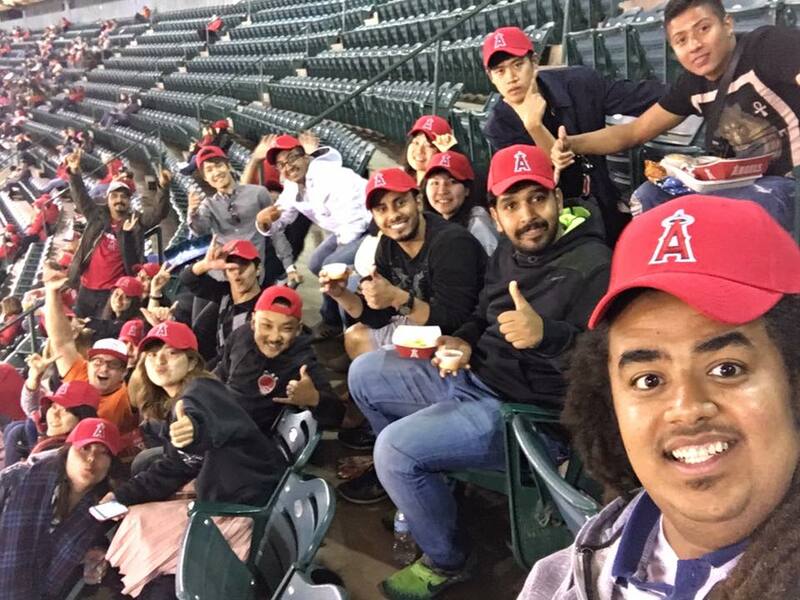 Oh yeah, and all our students received free hats. It was a lot of fun!